Brunch fans take note - there's a new breakfast cocktail in town and there's nary a drop of prosecco in sight! 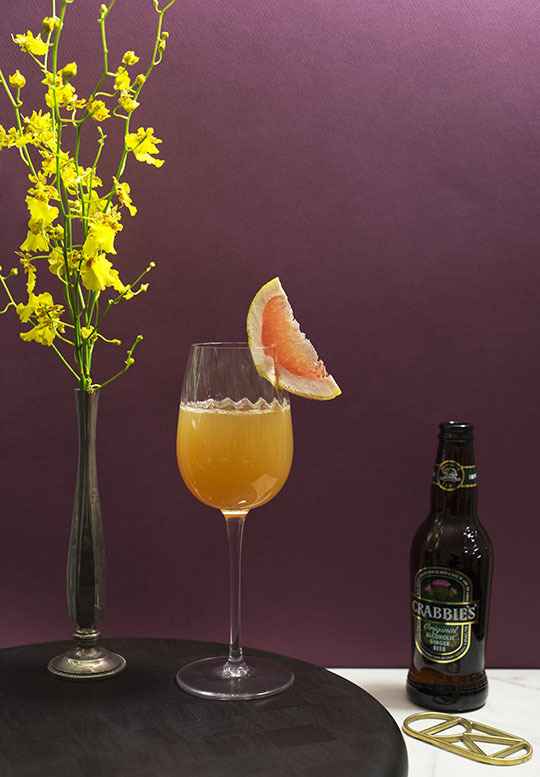 Let me introduce you to Crabbie's & Grapefruit - my new favorite day-time tipple. This cocktail was inspired by a recipe for Grapefruit Ginger Crème Brulee, a dessert I would never have the patience to make myself. 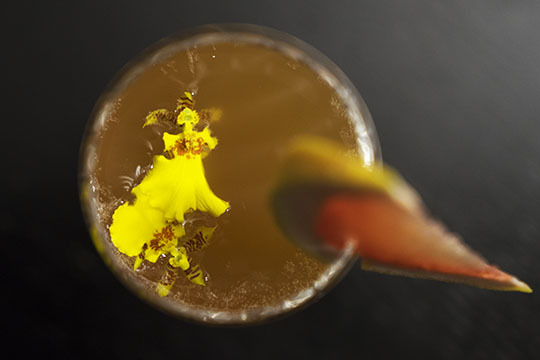 Instead, I modified the flavors for imbibing purposes (as I generally do here at Gastronomista.com), and voilà, a drink was born. 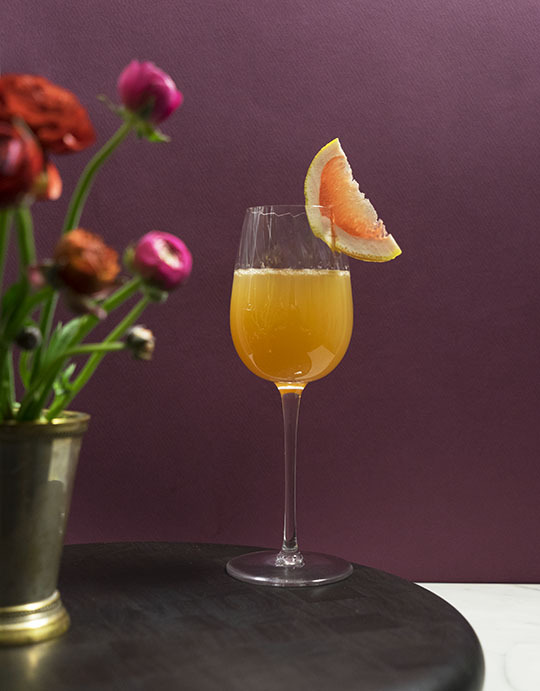 The ginger and grapefruit get along beautifully in this cocktail – it’s a simple yet gorgeous drink that can be served as an aperitif, with brunch, or to toast a special occasion. 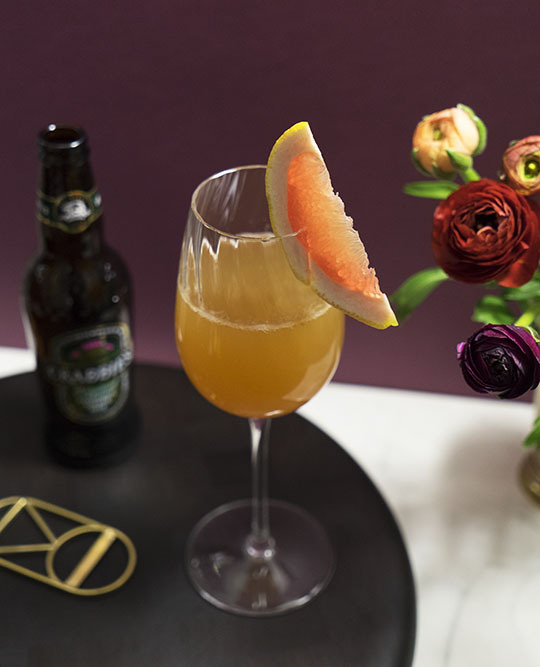 It's incredibly easy to make - one part Crabbie's Original Alcoholic Ginger Beer and two parts Ruby Red Grapefruit Juice. It is great to serve in a gorgeous wine glass, or batch in a pitcher for a group of friends. I recommend chilling your ginger beer prior to serving, this cocktail is best served very cold to make it that much more refreshing.